After 6 months since the launching of the Embroidery Essentials Online Course, we are excited to share photos from students who have completed the course and their comments. If it is time for you to master your own embroidery machine but do not know where to start, then this is the course for you! Finished. Can’t wait to do the piped binding on more of my quilts. Loved this class and thanks to everyone for great information. Being new to machine embroidery I really enjoyed the class and helpful info from everyone. I finished my quilt this morning. Lots of room for improvement but I like it. Finished! Thank you, Sara Snuggerud for the great instructions. I really enjoyed the project and became more familiar with my Designer Epic throughout the process. I need to improve my binding skills. Thanks also to all the members and their posts, I enjoyed reading their comments. Here is a fun Facebook LIVE video I, (Sara Snuggerud) and my daughter Kate (9), did after a day of embroidering Embroidery Essentials blocks together. Got my first project done woohoo! Now for binding etc but I love it and I’m so glad I took the course. This is the first thing I have ever sewed/embroidered so I just love it. Finished my first 4…I’m excited! Completed all my blocks. I might use this as my practice pieces and do them again with different fabric to make the quilt. But, I loved doing all the techniques and love my Husqvarna Viking Designer Ruby Royale! Finally got my blocks sewn together. Haven’t decided how to finish yet so it will hang on my board for a while. This was fun AND educational! Well done with the class and I learned a lot. Sara Snuggerud you are great teacher. Hope to do more. Made mine into a pillow. Sara Snuggerud – Thank you so much for all your videos. I have had my Epic and have gotten very little use of its amazing features. Then you came along with your 90+ videos and I am in heaven. It made me brave enough to take on the quilt in your Embroidery Essentials course. As I am working my way through the different blocks I am learning the features of my machine. When I was watching the Tile Scene instructions you mentioned using color sort to do multiple blocks at one time. Is there a video for that? I think I have watched all of them and cannot remember. Thank you again for all the info you post. I wish I lived closer and could take and vantage of your expertise in person. Finally completed the course!!!! My machine had to be serviced twice for tension problems. When I tried the bee the first time it came loose from the stabilizer and jammed the machine up. After service and finding thread bits in the tension disc I was afraid to try again. But this time it worked great after adding extra stabilizer under the eyes and the “tail “ loop. 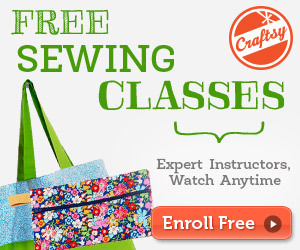 Now I am eager to sign up for the Stitching Cosmos course when it is available online! Thank you, Sara Snuggerud for this course. Finally finished the quilt . I learned a lot and will make different color choices in the future. Way too muted. Thank you so much , Sara Snuggerud for this class! My finished piece. I love it I love doing the course. I can’t wait to do another one! Sara I wish you would come out with more courses online, that was so much fun and so much information I learned so much about my brand new machine thank you. A day well spent! (December 31, 2018). I decided straight away, this is a whole new skill set for me so stepped completely out of my comfort zone. I’m a chintz and pastel girl so naturally threw the old me to the wind and bought the brightest fabrics I could find. I learnt so many new things. I made mistakes. I corrected them and in one case had to start again. There’s some I’m not in love with so will change….. isn’t this course just wonderful!!!? Blocks are done and sewn together. It was fun learning all the techniques. It was so much fun…Thank you for all your supported help. If you want to master your embroidery machine like these students, jump over to the Embroidery Essentials online course website and sign up today. Students have LIFETIME access to this online course. 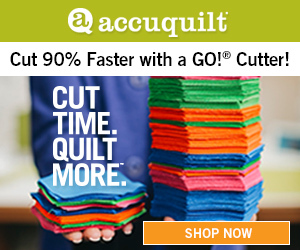 Revisit all videos, embroidery designs and handouts at any time 24/7. Click here to enroll in an embroidery journey of a lifetime today! Watch for Sara’s new online course Stitching Cosmos being filmed Spring of 2019.